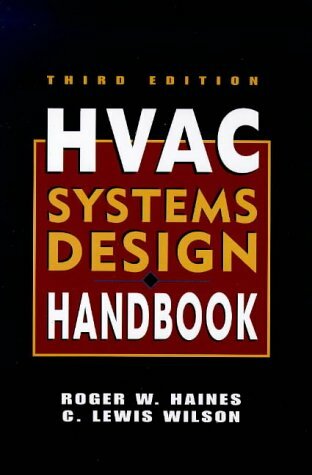 This 3rd edition of HVAC Systems Design Handbook is fully revised and updated and includes information on new refrigerants used in air conditioning equipment and addresses current concerns over indoor air quality. Roger W. Haines, P.E. is widely recognized as one of the foremost authorities in the field of HVAC Engineering. He is the author of "Roger Haines on HVAC Controls" and is a frequent contributor to "HPAC Engineering Magazine." Mr. Haines resides in Laguna Woods, California.C. Lewis Wilson, P.E. is Chairman and CEO of the Heath Engineering Company and former Professor of HVAC at the University of Utah, Brigham Young University, and the University of New Mexico. Mr. Lewis is a resident of Salt Lake City, Utah.